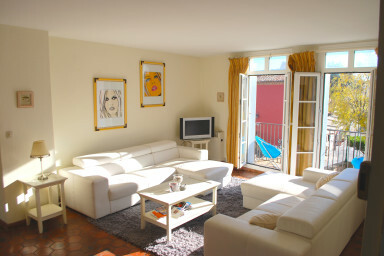 A spacious apartment for the whole year or just for holidays. 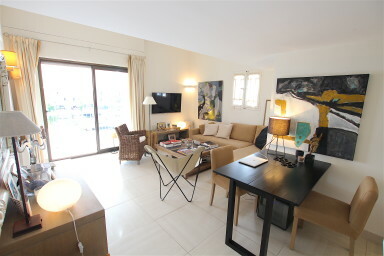 When you stay in Port Grimaud for the first time, holidays are so beautiful that one often dreams of becoming the owner of a property such as a beautiful apartment in Port Grimaud. 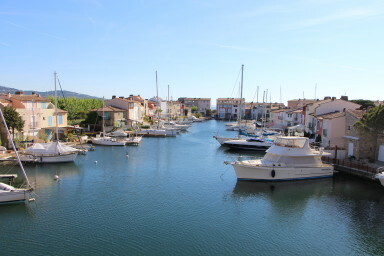 You thus already have the choice between 3 suburbs (Port Grimaud I, II and III) and between different types of accommodation : houses on the one side (the balandrines, hunières, ostales, cassines, borderives, portales and fishing houses) and apartments on the other side. Apartments are often on the smaller side but are very popular as they have a major asset : as well as houses, they often have their own mooring. 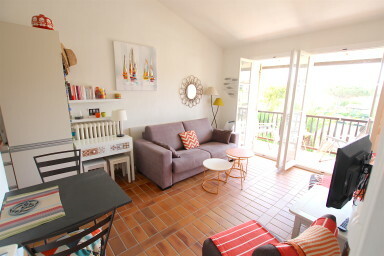 You can therefore also enjoy this luxury, benefit from the safety and the peacefulness in Port Grimaud in a house as well as in an apartment. Because they are often a little smaller than houses, apartments have the advantage of being more affordable. 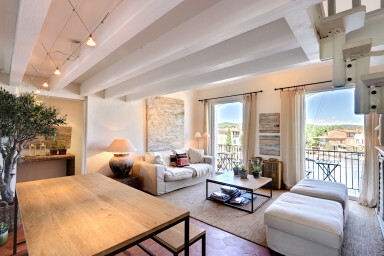 While our houses sell for around a million euros on average, beautiful apartments with 2 to 3 bedrooms can be found from €400,00 to €500,000. 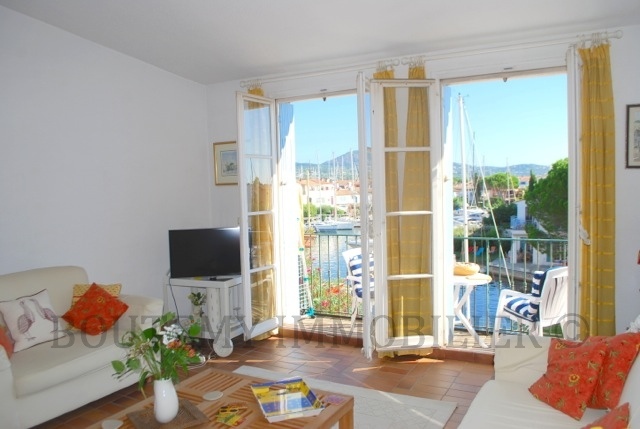 A website, les Clés du Midi, publishes each year in June the property prices in port grimaud. According to this website, the price of an apartment in Port Grimaud per square meter is €6,547 compared to €16,202 for a house. 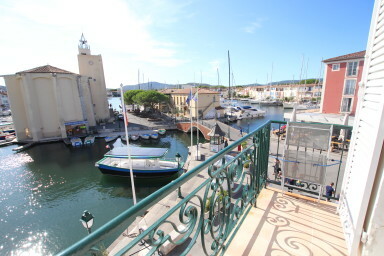 You can therefore save a lot of money by being the owner of an apartment while, at the same time, enjoying the beautiful scenery of Port Grimaud and the Gulf of Saint-Tropez. Do I need a mooring ? If yes, is it important that this mooring is located directly in front of my apartment or can it be a little further away? 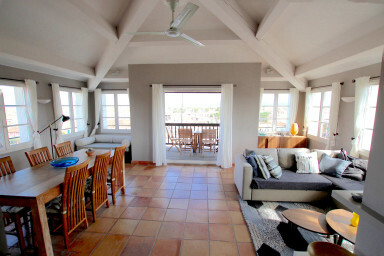 Will I live in Port Grimaud the entire year or only during the holidays ? How many people will be staying in the apartment at the same time? When responding to these questions, we can help you in refining your search. In 2018, we saw more apartment sales than house sales in our agency. They are of course accessible to a larger proportion of tourists wishing to buy a second home, and offer many advantages comparable to those of a seaside house, in particular... a mooring place. 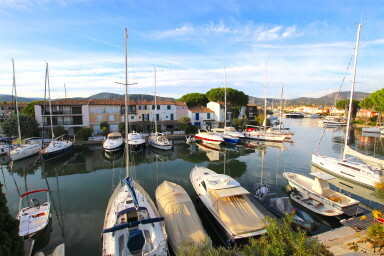 Port Grimaud is indeed a unique case in France where almost all the lodgings have their own mooring place. 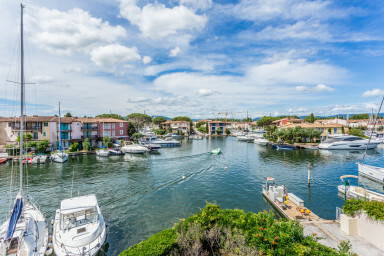 It should be noted that we are not talking about a "marina" here because the architect of the lakeside city, François Spoerry, has chosen to distinguish it from other Mediterranean destinations, such as Port Camargue where we can really talk about a marina. The concept of the marina is based on the idea of residential buildings on one hand and berths on the other hand. 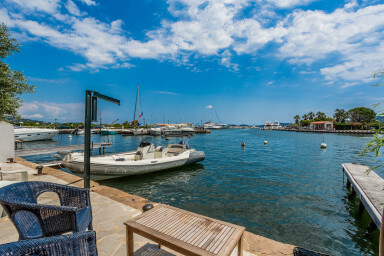 In Port Grimaud, each mooring ring is as close as possible to the accommodation it serves, a real pleasure for sailing enthusiasts! As our customers often say, Port Grimaud is the gateway to the sea, the opportunity to discover the wonders of the deep blue in a snap of your fingers and no other destination in France can offer you such an experience. Our agency allows you to make your selection according to the size of your boat and therefore the mooring required. We hope to meet you soon, either at the agency or by phone. 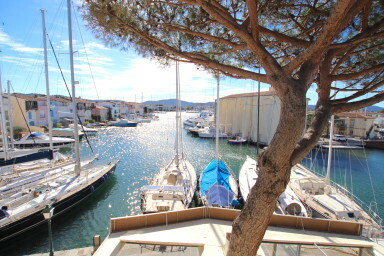 Until then, you can always consult our portfolio of properties in Port Grimaud.